Tiles are my thing. I love the tiles of the 1960's, all bold and colourful. I love the tiles of the 1970's, chunky and earthy. I'm not so keen on tiles of the 1980's. Fast forward to today and tiles are incredibly exciting. Advances in digital printing, 3D printing and material development, now creates a plethora of choices. Some good choices. Some bad. Dating is not my thing. To be clear, I mean items that go out of fashion. Tiles included. Similar to other interior elements, tiles have always been influenced by fashion, essentially mirroring the historic design periods. 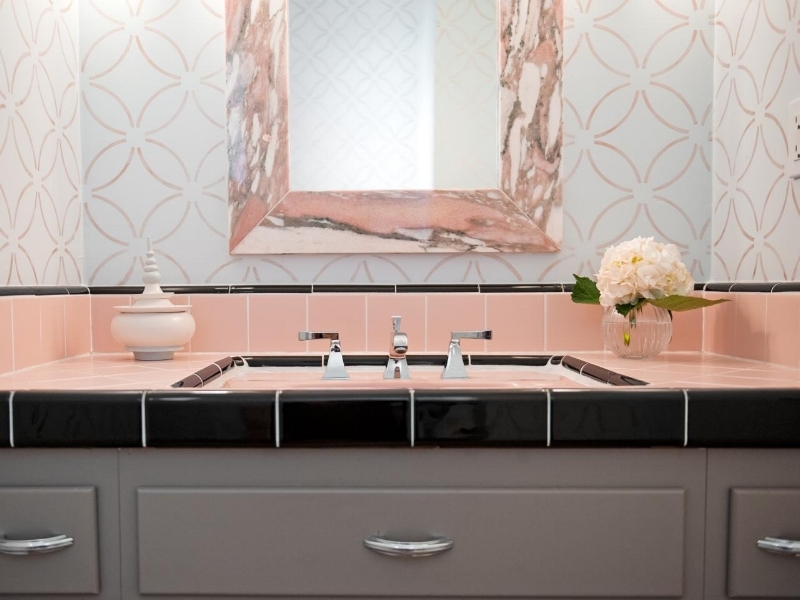 Just like fabrics & accessories, tiles arrive in collections, with tile shops picking up some or all of these collections to showcase and sell. Choosing tiles creates all sorts of reactions. But what I've noticed more than anything else, is that our expectation of a tiles performance, set against our desires with it's aesthetics, are very different. We want the best of both worlds. Often categorised alongside bricks and other construction materials, tiles are regarded as being a construction item. With that comes the expectation of them being readily available, all the time, for years to come. As consumers we want to be able to get the same tile years after our initial purchase. To fix damaged tiles or fit out another space the same way. But tiles move on. They sell out. They finish. They come and go because they are influenced by fashion and trends. A construction material they may be, but they are also a decorative item. 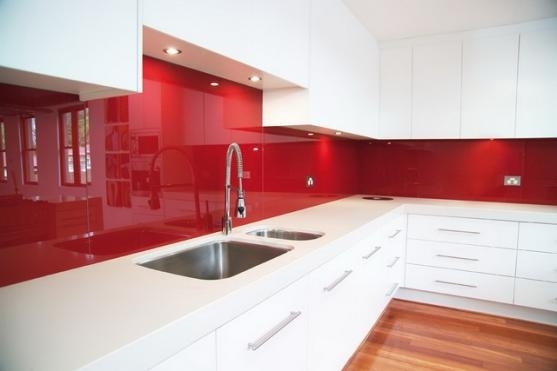 Not so long ago tiles were a no go in kitchen splashbacks, with the rise of glass splashbacks in the noughties. But today they are the go to material. As consumers, we love to have a choice of different styles, shapes and colours, to create new, exciting and fresh spaces. We want new products. We want "this" look. But when you think about it, it's hard to have both. The comfort that a standard material brings against the excitement of a new, ever evolving, product. Armed with design ideas, fueled by Pinterest and the like, the ultimate design request I hear most frequently with tiles is "I don't want it to date". Let's face it, tiles can really date a space. In fact, they are often the thing you notice because they take up such a large surface area. They have colour, size, shape, pattern, finish or texture, essentially six elements that can be 'so yesterday' so quickly. So it's no great surprise. On top of that you have the laying pattern and grout colour all adding to the mix of being in fashion or entrend. So how do you choose tiles that aren't going to date? You can't stop it completely. But the rate that they do and how obvious they do it, can be influenced by the tiles you choose and the way you lay them. Essentially, there are three options that you can work with to give you that design longevity. Firstly you can choose tiles that blend into the background and are not the feature in a space. Something you just don't notice. To be timeless as possible, you need to consider the colour, size, shape and their location. For example choosing a neutral coloured, square or rectangular shaped, large format tile is less likely to date than a small hexagonal mosaic. You can then choose other striking features that you can update easily, such as a wall hung mirror or a brightly painted wall. Here the tiles play a supporting role. Another way is to work with the period of your home. 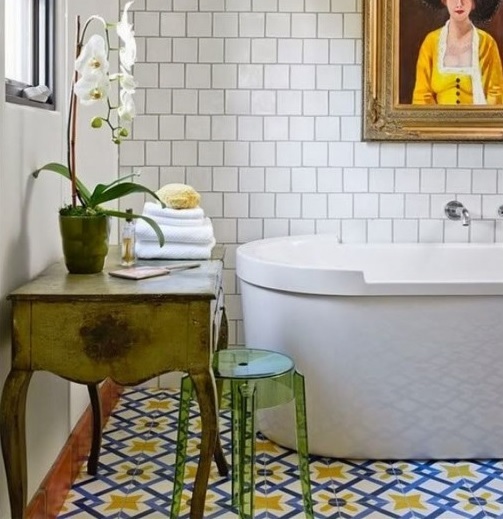 Choosing colours, textures and patterns that are authentic to that period and replicating them in subtle or interesting ways within your newly tiled space, is a really effective way to make your tiles work longterm. There are so many ways you can do this, especially with the choice of tiles today. Here, the tiles work with the bones of your building. But then there's some bones, we don't really want to work with. For those of you in this situation, then best move onto the third option. The last way is the most exciting and the most difficult. It's doing something completely original. Clearly we can't all afford bespoke tiles. But you don't need to. You just need to have imagination and the ability to visualise. One of my all time favourite designs, created by a 60 year old local lady, was simply the same tile in three different colours, displayed in columns of varying thicknesses, topped with a complimentary capping tile at 1.2 metres. The design started by her falling in love with a teal blue tile and then letting her imagination do the rest. She created a stunning design I have never ever seen before and will probably never see again. The tiles here are unique and will stand the test of time well. Tiles date when we manage to lock the design cues down to a fashion period. With ever increasing fashion cycles, these cues come fast and furious. Your tiles are going to date eventually, but the rate in which this happens can be slowed right down, simply by blending, being authentic or original. So if your space is going to look good for years to come, then what you really need to ensure is that the space makes you feel at home and happy, and that the tiles are going to be easy to clean. The self cleaning bathroom is still many years off, so for me, this is the ultimate priority!